From supplying the world’s best dry cleaning solutions to unrivaled wet cleaning equipment, we’ve always been designing and developing the next best thing. Now we bring you the Renzacci i-Genius — built to give your business an edge over the competition by adding a completely unique revenue stream. This completely self-contained cabinet is portable, energy-efficient, easy-to-use and works by removing odors and sanitizing hard to clean items. From bike helmets and fur coats to pet odors and smoke smells, our i-Genius uses an air sanitizer to completely rid the items inside of odor causing particles and neutralizes potential allergens, irritants, and bacteria using ozone technology. 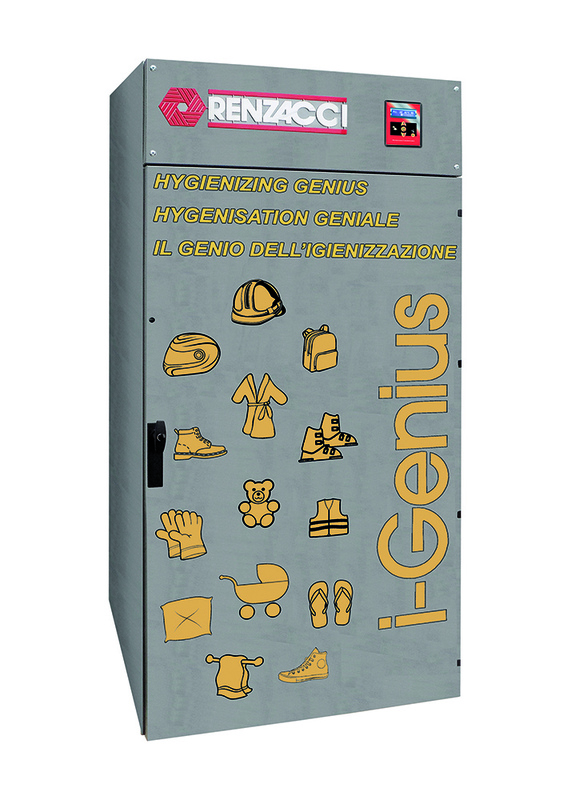 With a Renzacci i-Genius, you’re offering your customers the option to treat unique items they wouldn’t have thought possible as well as providing extra hygienic protection for special or often-used garments like wedding dresses or work uniforms. The Renzacci i-Genius requires little space and minimal power. Gentle, effective, and affordable, the i-Genius is a viable option for any business owner looking to expand their range of services. Call us or fill out our online form to get more information about our i-Genius and the benefits it provides.